After Mrs Weber’s 2nd grade class completed their study of the seven continents, they decided to take their creative writing lesson to a whole new level, writing and publishing a book. In the story, Griff, the main character of their story, travels around the world discovering God’s beauty throughout his many adventures. 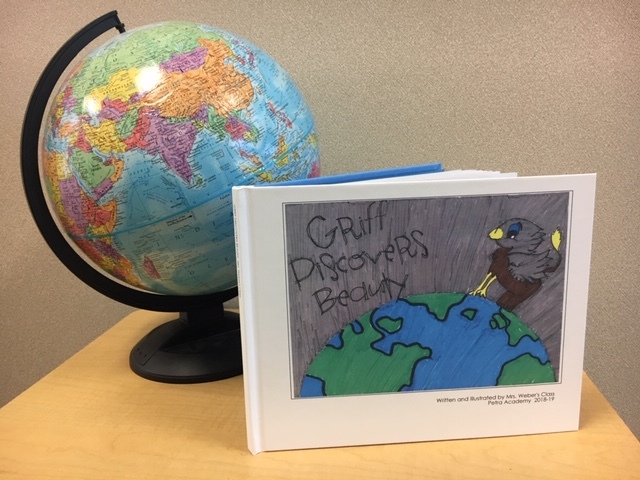 Interested parents of all students are encouraged to stop by Mrs. Weber’s classroom and view the book, Griff Discovers Beauty. Congratulations to our aspiring authors!